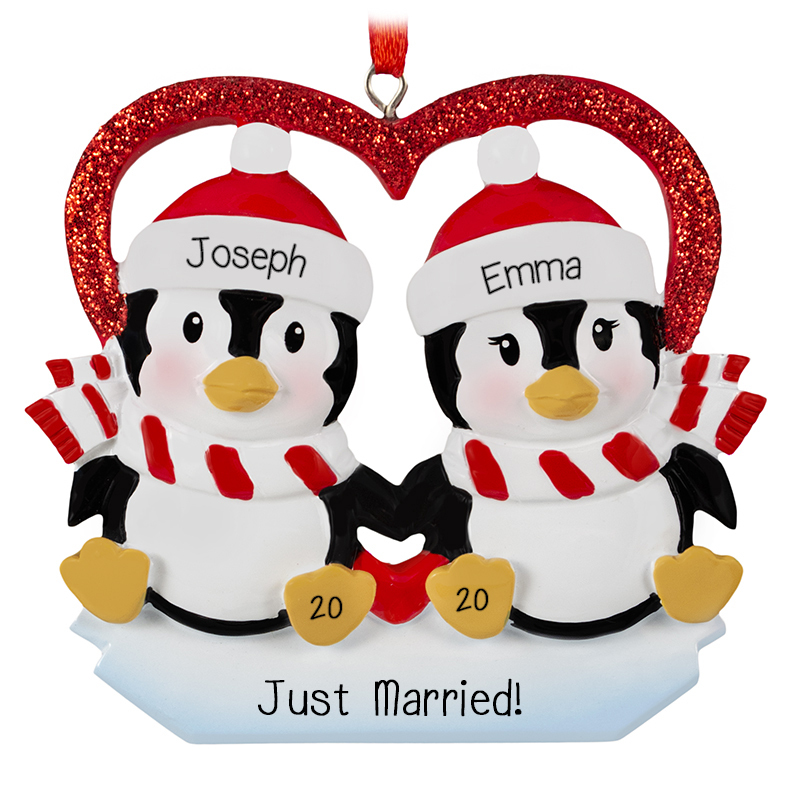 Celebrate a very special duo this season with our Just Married Penguin Couple Glittered Heart Ornament. Our adorable memento features two festive penguins sitting in front of a glittered heart. We will personalize this ornament for you at no extra charge, so buy your keepsake today!